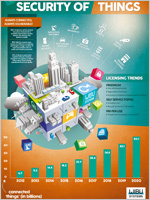 Worth a thousand words, infographics convey a complex message with memorable pictures, charts, data, and short statements. They are visually appealing, and offer novices and expert users a quick overview to studies, research, or current trends. Enjoy the contents we have created for you. Trustworthiness is the degree of confidence one has that an industrial system performs as expected. The five key characteristics of trustworthiness are security, safety, privacy, resilience and reliability. Each of these characteristics addresses specific challenges in the face of environmental disturbances, human errors, system faults and attacks. 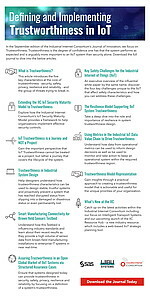 Today’s industrial designers are learning how to use these core characteristics to design and proactively maintain stable and trustworthy IIoT systems. Germany’s mechanical engineering continue to enjoy unrivaled appeal around the world. Industrie 4.0 is promising additional economic gains. 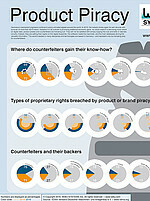 As value creation is becoming more reliant on original data, product pirates and counterfeiters are following suit. They will not be satisfied with simply copying the nuts and bolts or discrete circuitry. Instead, they are setting their sights on the digital blueprints, the machine software, and the main databases. Connectivity is a synonym for convenience. The Internet of Things is gradually connecting cars, homes, offices, manufacturing plants, hospitals, and even satellites. It lets us feel the beating pulse of the actions performed by connected devices and machines, regardless of where we happen to be. But remote control comes with a price in vulnerability: Security is the keystone for an efficiently workable IoT infrastructure, especially in the industrial realm. 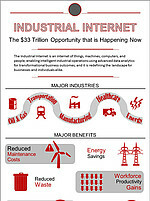 The Industrial Internet is a $33 trillion opportunity that is redefining the entire manufacturing realm. Disruptive enough to be identified as a new industrial revolution age, profitable enough to boost global GDP, innovative enough to give birth to an ecosystem of private, academic and government initiatives. All major industries are involved in this transformation, which will result in lower costs, greater quality, new professional qualifications, saved energy, and a safer environment. 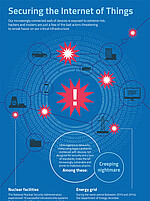 Our increasingly connected web of devices is exposed to extreme risk; hackers and insiders are just a few of the bad actors threatening to wreak havoc on our critical infrastructure. The Trusted Computing Group (TCG) is enabling a secure foundation for trusted devices and transactions using open, vendor-neutral industry specifications. Sharing a common TCG specification across multiple platforms and the use of strong protection measures strengthens the foundation.